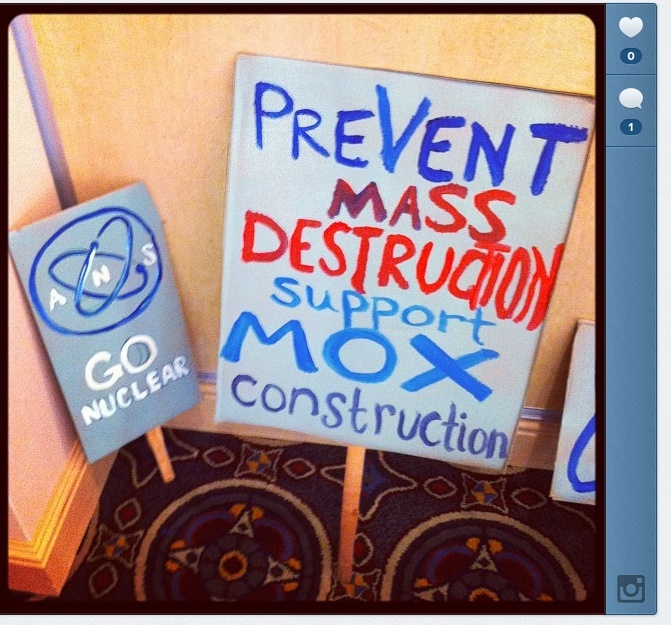 The NRC meeting about MOX fuel was a success story for nuclear advocates "showing up." Many ANS members (including students) came to the meeting, wearing colorful ANS shirts. Many students and ANS members testified. No anti-nuclear zombies showed up. 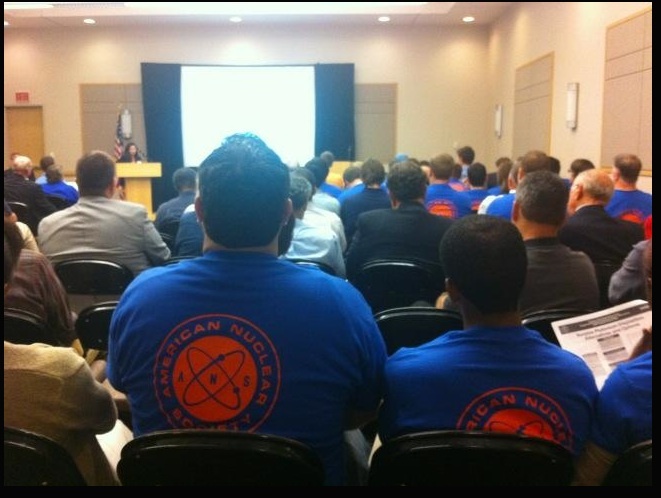 Maybe the zombies knew there would be pro-nuclear people at the meeting. The press coverage noted the pro-nuclear presence, though it was still slanted anti-nuclear, in my opinion. 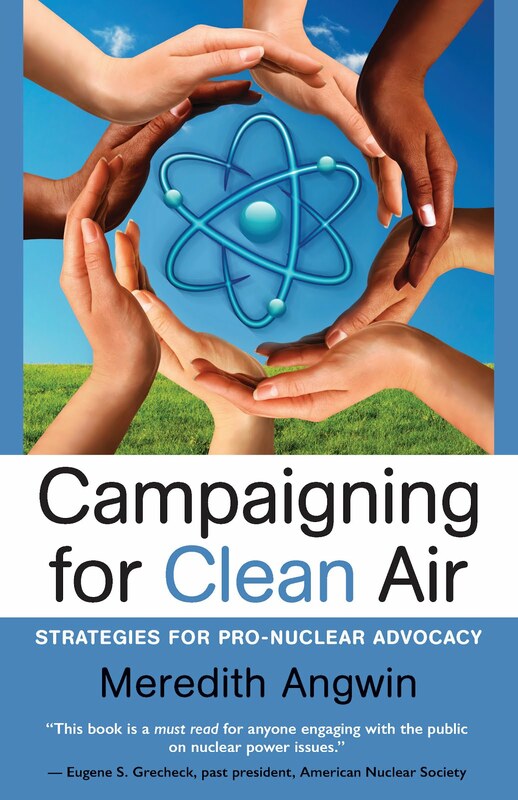 But pro-nuclear people were there, and the press had to cover their statements. Here's the Times Free Press article on the meeting. Plus, Suzy Hobbs Baker supervised the making of some great signs. One anti-nuclear speaker called the students "cheerleaders" and requested "solutions" instead. Actually, of course, the students are the future, and the future solutions. But you can't expect your average anti-nuclear person to understand that the students are the future. They are still talking about the electrician who used a candle at Brown's Ferry 37 years ago. Ah well. They need something to talk about. The fact that MOX fuel has been used all over the world for 30 years is NOT what they want to talk about. So...back to that electrician! It has never been more important. Laura Scheele of ANS (ANS Nuclear Cafe blog) Steve Skutnik of University of Tennessee (Neutron Economy blog) , and Suzy Hobbs Baker (Popatomic Studios) did an immense amount of work to make this meeting a success for the nuclear side. We owe them all a big thank-you! 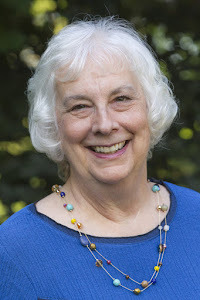 Links to other blogs about this meeting can be found at my previous post MOX and hearings in Chattanooga.